Victims of personal injuries and motorcycle accidents in Phoenix, Arizona, often need a dedicated attorney. At the law office of Luis P. Guerra, L.L.C., our trusted team helps clients who have been injured as a result of slip-and-fall accidents, medical malpractice, dog bites, premises liability, defective products, police negligence and corporate negligence. Our law office assists people with issues involving insurance coverage and statutes of limitations as they pertain to the case. Accidents triggered by another person's negligence can cause serious injuries, such as brain trauma, paralysis, broken bones, spinal injuries and dismemberment. It is important to have a dedicated attorney who truly cares about the outcome of the case. 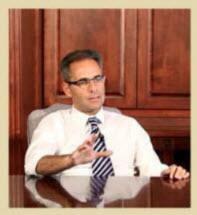 Lead attorney Luis P. Guerra has received the highest rating of AV Preeminent* by Martindale-Hubbell. This prestigious award is given by peers in the industry and is based on high ethical standards and outstanding practice in the field of law. As a member of the Maricopa County Bar Association, the State Bar of Arizona, the Association of Trial Lawyers of America, the American Bar Association, the Hispanic National Bar Association, the American Civil Liberties Union, the National Bar Association, the Trial Lawyers for Public Justice, the Federal Bar Association and the Maricopa County Hispanic Bar Association, Mr. Guerra has a true passion for helping others. When clients arrive at the law office of Luis P. Guerra, L.L.C., they will receive a free initial consultation. Our attorneys are happy to meet and discuss the situation in order to gain a deeper insight into the matter at hand.